Cape Town – The CEO Initiative on Saturday warned that populist policies that focus on short-term solutions will only result in the economy slipping further away. The warning came as Moody’s downgraded the country’s long-term foreign and local currency debt ratings one notch from Baa2 to Baa3, and gave it a negative outlook. National Treasury warned on Friday night that the negative outlook “indicates that the risk of further downgrades is still there”. The rand paused on a sharp decline on Friday night, trading 0.22% weaker at R12.95 to the dollar. It will resume trading on Sunday evening, where traders could continue to sell. 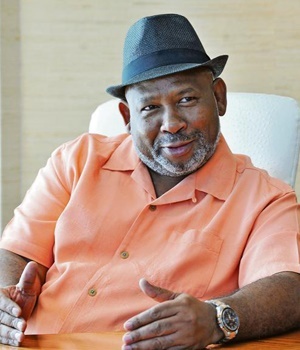 The CEO Initiative, which is led by Telkom chairperson Jabu Mabuza, said South Africa’s poor economic growth outlook – amid recessionary conditions – will be weakened even more following the downgrade. “Any subsequent downgrades to the local currency ratings by both Moody’s and Standard and Poor’s will mean that South Africa is no longer represented in the World Government Bond Index, leading to further outflows of much-needed investment from our country,” it said. The downgrade by Moody’s follows that of S&P Global and Fitch, which downgraded South Africa to junk status following President Jacob Zuma’s Cabinet reshuffle at the end of March. South Africa entered a technical recession in the first quarter of 2017, Statistics South Africa announced this week. The CEO Initiative said that how the country responds to this ratings action is of the utmost importance. It said “sustainable economic empowerment and transformation will only be achieved through structural reforms that drive inclusive growth”. “Populist policies that focus on short-term solutions with no regard for the liabilities that we bestow on future generations will only result in the economy slipping further away from providing opportunities that benefit all who live in the country,” it said. “If we are to prevent further negative impacts, it is of crucial importance that we continue with our fiscal plan and apply strict discipline in managing the country’s finances. The initiative welcomed the assurance from the National Treasury in reaction to this downgrade that policy transparency and continuity remain at the top of the government’s agenda. This follows a statement by Treasury on Friday night, stating: “The urgent priority is reigniting confidence as well as reclaiming and maintaining the investment grade ratings. The CEO Initiative said it remains committed to working with the government and labour in creating an environment that is conducive to sustainable and inclusive growth. “The endeavours aimed at promoting growth have continued for the benefit of all who live in South Africa, to facilitate an economic recovery as soon as possible,” it said.